Installing the android kernel on the mobiles has never been easy. The complexity in using linux, the tedious process involved in installing the android kernel is never easy (even in windows) . But Heimdall changes it all, it made the process of installing the android even easy for a layman . This guide assumes the Samsung Captivate already has Android 2.2 build UCKB1 (AT&T) or UXJL1 (Rogers) already installed on it. If the Samsung Captivate is already rooted & hasClockworkMod Recovery installed, skip this section. Select the downloaded kernel in the Kernel (zImage) section. Power off the Samsung Captivate and connect the microUSB to the computer but not the Samsung Captivate. Boot the Samsung Captivate into download mode by holding down Volume Up & Volume Down while connecting the microUSB to it. 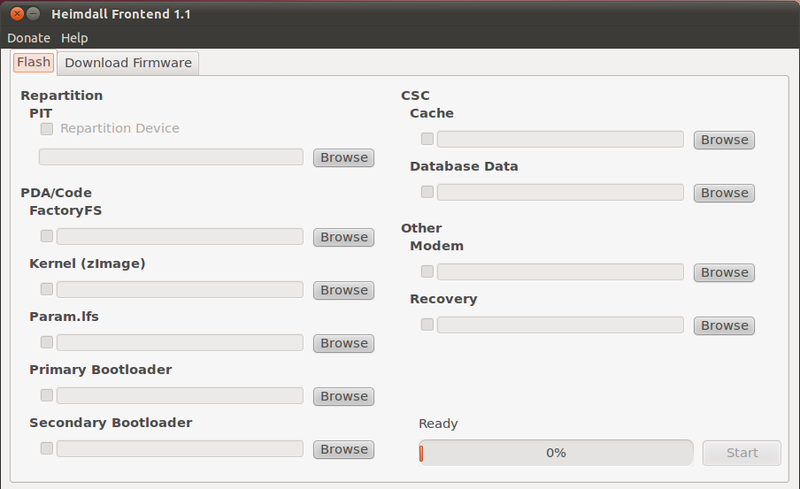 Click Start on the Heimdall Frontend. A blue transfer bar will appear on the phone showing the kernel being transferred. The device will reboot automatically. Once booted, reboot into the Samsung Captivate into the ClockworkMod Recovery. Select Advanced ULK Features using the Volume Rocker to navigate & the Power button to select. The Samsung Captivate is now rooted & has the ClockworkMod Recovery installed. Continue to the next section. Optional: Install the Google Apps by performing steps 7 - 9 again and choosing the Google Apps update.zip. Once the installation has finished, select +++++Go Back+++++ to get back to the main menu, and select the Reboot system now option. The Samsung Captivate should now boot into CyanogenMod.